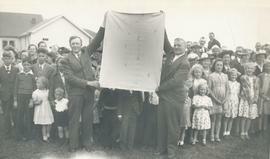 A.A. Wien (on left) and an unknown man are holding up a big white sign. Yarrow families are in the background. Walter Koop and Arthur Krahn are standing second and third from the left. 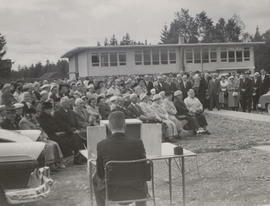 A large group of people, some seated and some standing, listening to an address.